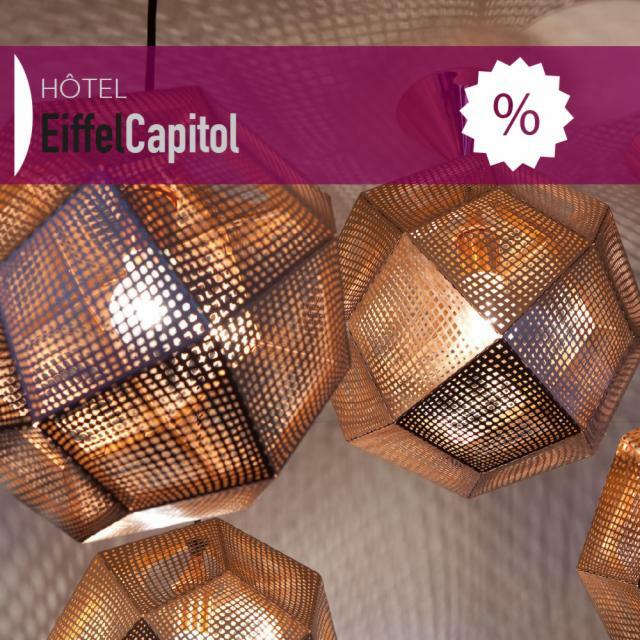 The Eiffel Capitol Hotel stands right in the heart of the dynamic, vibrant retail XV arrondissement of Paris and on the outskirts of the elegant VII arrondissement and its large, aristocratic avenues. With the Eiffel Tower close by, as well as a plethora of museums, the new Beaugrenelle shopping centre and a choice of the Champ de Mars or the André Citroën Park for a refreshing early morning job, these are just some of the many attractive features of the Eiffel Capitol Hotel. It is therefore an excellent starting point from which to branch out and discover the capital! 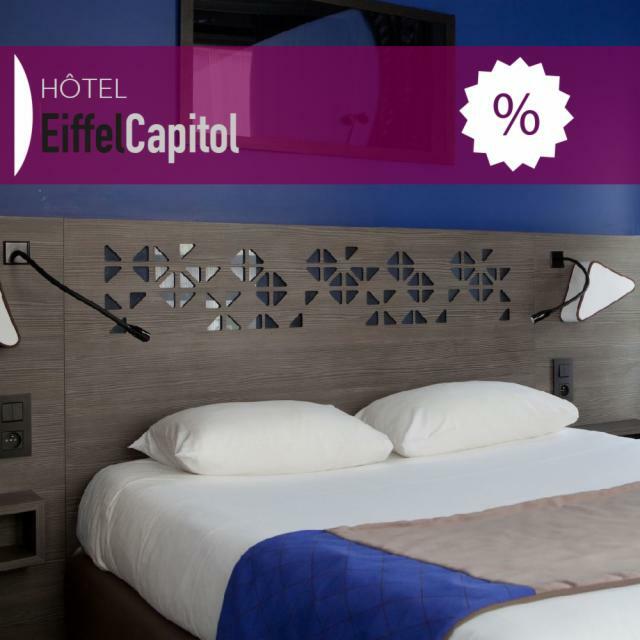 At the Eiffel Capitol Hotel, guests are welcomed in a friendly atmosphere. Diffuse lighting emphasises the peaceful interplay of the taupe grey shades of the walls and furnishings, punctuated by the spots of colour yielded by the harmoniously arranged sofas, armchairs and chairs. The Eiffel Tower, situated very close by, is the inspiration behind the rooms’ décor, orchestrated by interior designer, Marie-Paule Clout: geometric cut-outs in the furnishings and suggesting the steel mesh of the "Iron lady"; multifaceted industrial-looking metallic pendants by Tom Dixon ; chairs evocatively designed by the creator Konstantin Grcic ; velvet cushioned seats over stitched with hexagons which also appear on the carpet... Make no mistake, visitors are truly in Paris and in France!